Doctor Who: The Moffat Scripts - THE EMPTY CHILD / THE DOCTOR DANCES | Warped Factor - Words in the Key of Geek. In light of the recent announcement that Steven Moffat will be stepping down as Doctor Who Showrunner after series ten, we're beginning a new weekly retrospective of all the stories he's written for the series over the last eleven years. Today, Dr. Moo wants his mummy. The first series of revived Doctor Who was off to a great start with Christopher Eccleston’s Ninth Doctor blasting onto our screens and blowing away the cobwebs, proving not only that this show could work in the 21st Century but that it could be bigger and better too. But there was one thing missing. 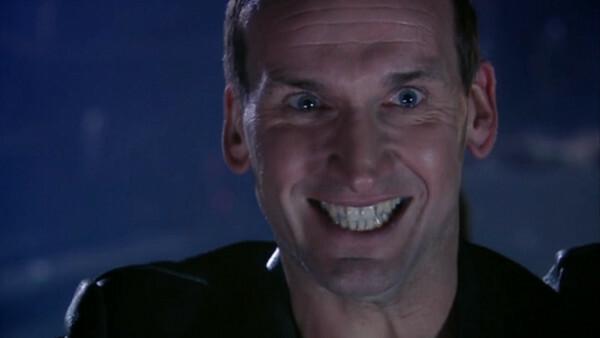 So far all the stories of the season had been to progress the Ninth Doctor’s character arc, his recovery from his perceived actions in the Time War, and that’s fine; when you’ve only got ten stories to tell before he goes his merry way there’s not a moment to lose. 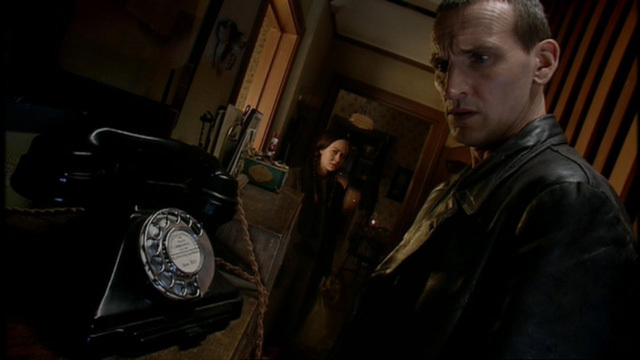 However, until The Empty Child came along Eccleston didn’t feel, to me at least, like the Doctor, rather he was just like an actor playing him. What was missing was the Doctor going to examine and investigate events and poking everything with a stick to see what it does, essentially him being the Doctor we knew and loved. We hadn’t had the chance to see him on his own yet. The closest we got was in Aliens of London when he set off to investigate the crashed ship but that scene lasted little more than five minutes. But in Steven Moffat's debut script for the revived series he thrust the Doctor into the spotlight with a scary monster prowling the streets of 1941 London. And finally the Doctor is back. The Ninth Doctor’s not the only one with a chance to shine in this story because Rose Tyler gets lots of time on her own too. She goes wandering off, much to the Doctor’s irritation, only to get literally swept off her feet and than again in the metaphorical sense by one Captain Jack Harkness who, if not for the frightened child of the title, would be the most memorable thing about this two part adventure. 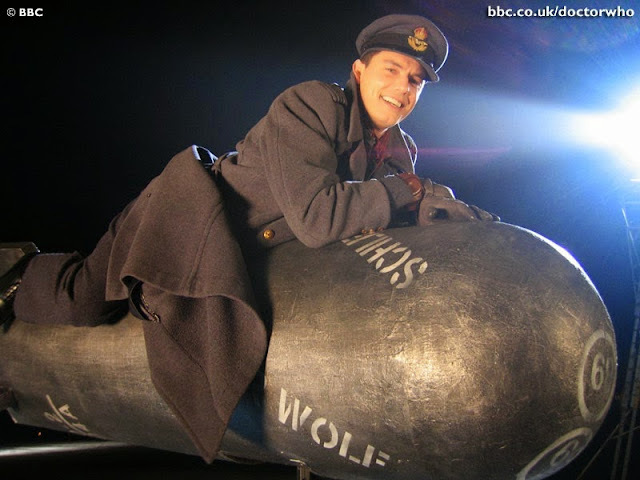 Who can forget his flirting with Rose atop an invisible spaceship tethered to Big Ben? What about his arguments with the Doctor about the stupidity of the Sonic Screwdriver (“Who looks at a screwdriver and thinks ‘this could be a little more sonic?’”) and the Doctor’s apparent destruction of the factory at Villengard? And then there’s the moment when he rides a bomb, then after taking it aboard his spaceship decides there’s only one thing to do: have champagne. Pure Harkness. The fact that the man who has more experience writing for him than anyone else on the entire planet will be taking over Doctor Who (Chris Chibnall was, effectively, head writer for the first two series of Torchwood) gives me confidence that we may see him again sometime soon. This is, we must remember, a Jack that has yet to receive his immortality. This is a Jack who hasn’t started to work for Torchwood. This is a Jack before he has been affected by the Doctor’s influence. Frankly this is before he became Russell T Davies’s pet and so he’s not nearly as annoying as he occasionally could be in many of his future appearances, like, say, the very next episode Boom Town. In short, this is our first glimpse at the character. He’s not someone the audience knows anything about yet. He’s not yet a hero; he is by his own admission nothing more than a con man out to get some money. In fact you can legitimately call him the story’s true villain because the plague of the Gas-Mask Zombies is entirely his doing, even though he didn’t know it at the time. Excuse me one moment, I think I need a break to cool my nerves. If this makes you think the whole thing’s terribly scary then you’d be right, it is. But it’s also very funny from time to time. Before the opening titles even start there’s the Doctor talking about Code Mauve and how camp red is to aliens. He even claims to be Santa Claus at one point. There’s a moment when he tries to resonate concrete. Don’t drop the banana; it’s a good source of potassium! The revelation about the man messing about with the butcher. Moffat squeezes as much humour as he can into his script yet never once does he let it go too far or undermine the horrific nature of what’s going on, which is more than can be said for the likes of his later stories like Let’s Kill Hitler or The Girl Who Died. Indeed I’d go so far as to say there’s only been two occasions when he’s topped this one in his entire time writing for the show, but we’ll get to those later as this retrospective series goes on. Suffice to say Moffat starts strong and secures himself a shoe-in for future showrunner from the word go. And we have to discuss the ending: “Everybody Lives!” After all the darkness and sadness the story has thrown at us by then we needed a happy ending like that, and so that’s just what we get. It was unprecedented for everyone to survive a story at this stage in the show’s history, as someone had died in every story to date. No incarnation of the Doctor, not even the War incarnation, needed a victory as much as the survivor of the Time War and the way Nine takes it with such joy says it all. It’s as if this victory, when he manages to save everyone, has made up for the destruction of Gallifrey that weighs so heavily on his conscience, and we watching it can’t help but stand up and come out from behind our line of sofas to applaud and share in his joy with him. Almost eleven years on there is a lot of stuff in the first series of Doctor Who that has aged badly, with the Wheelie Bin, farting fat-suit monsters and The Weakest Link, to name but a few. Then there’s stuff like these two episodes that remain every bit as good today as they did over a decade ago. The Doctor talks in this story about the inspiring hope that the British people had in WWII during their struggle against the Nazis. You can’t help but feel that a similar hope and drive to survive was present in BBC Wales when they made this story to show that Doctor Who as a series can survive anything and come back bigger and better than ever, and when you see stories like The Empty Child/The Doctor Dances you can’t help but agree that they were right to think that way. The story’s triumphant ending is a tearjerker for sure, and there’s the spirit of Chuchillian KBO very present throughout the subplot of Nancy and her group of abandoned street-children. Put in that series one DVD and prepare to be excited as you revisit this story of a glimmering hope in a world at war. Because that’s what this story is about more than anything else, more than being scary or funny, it’s all about hope and that’s as relevant to us today as it was in 2005 or 1941, and it will still be relevant in the future, even for centuries on from now. The horror, the humour and above all else the message of hope gives this story a timeless quality: A classic in every sense of the word. 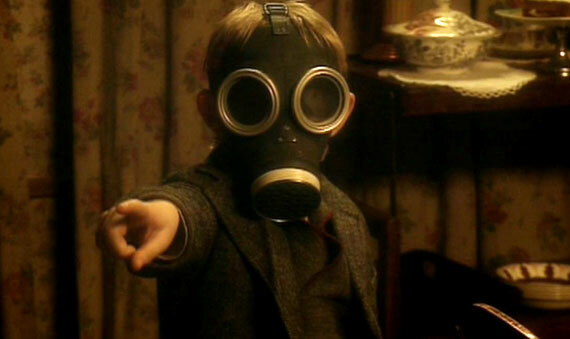 For fans of ClassicWho the first series had been very very good but lacking the spark of pure Whoiness (which is definitely a word) but in The Empty Child/The Doctor Dances it’s there. Doctor Who is well and truly back. And for those coming aboard for the first time with the new series, this was everything they’d been told the show could be. You want moves? Doctor Who will give you moves!